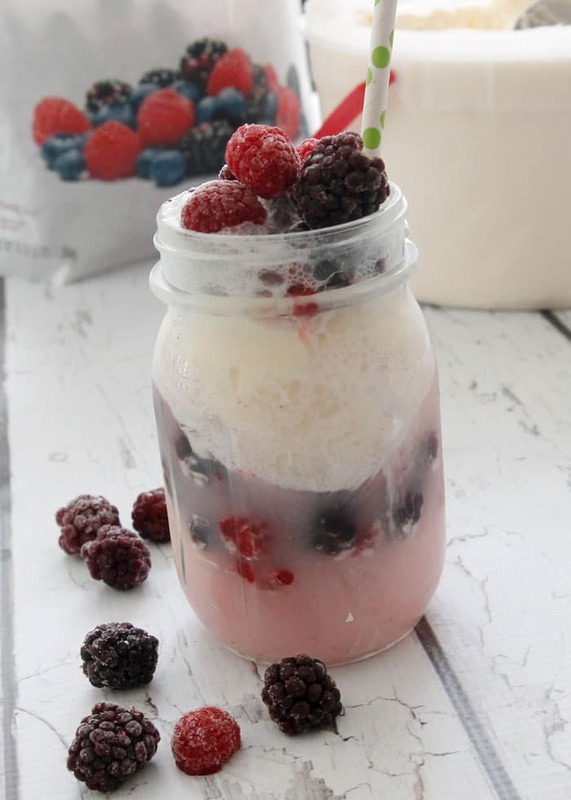 Fruity Ice Cream Floats - Chocolate Chocolate and More! Fruity Ice Cream Floats-a little ice cream, your favorite frozen fruit and some lemon-lime soda are all you need to make this refreshing summer treat. I’d been seeing my friend Amy of Living Locurto posting on Facebook about a Pinterest Party she was hosting (she’s an Ambassador for them.) She’s in Dallas. Dallas, Texas, not Dallas, Georgia (yes there is a Dallas, Georgia.) I knew she’d be throwing a great party. I’d finally get to meet her, hang out with other Pinterest lovers, just a fun day out. But buying an airplane ticket, just for a party, wasn’t in my budget. Then she posted a link with all the Pinterest Ambassadors. Curious, I clicked on the link and started scrolling. Rachel Faucett of Handmade Charlotte is in Georgia. How cool. Then I get to the bottom. Where it lists all the upcoming events. There’s an event in Atlanta! The next day! (this was last Saturday.) It’s free, I had nothing else to do. I’m going! It was a crafter’s dream come true. Now I’m not crafty. I can sew a bit and I do own a few glue guns. We muddle through school projects and get them done (ours always look like the kids made them, haha.) 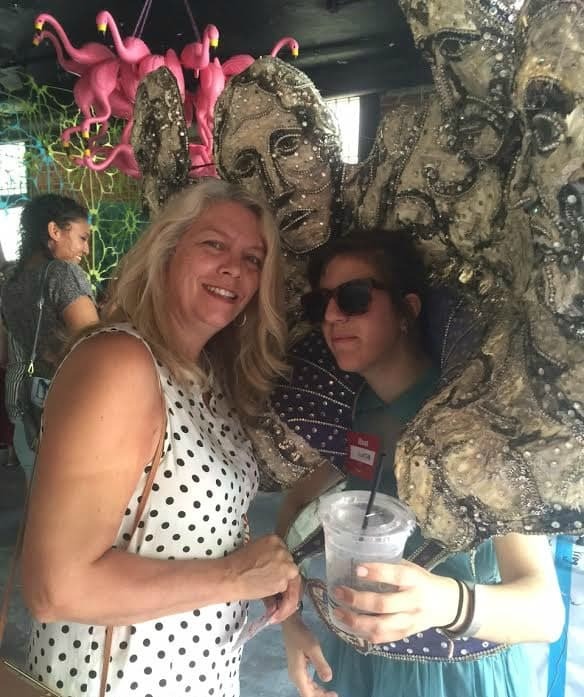 If you look in the background, you can see a chandelier of pink flamingos, and what Rachel created with plastic coathangers (look behind the flamingos) ….lets just say, I might want to go buy a few dozen in assorted colors. There were crafting stations, cotton candy and Ice Cream. They were serving these sweet floats! 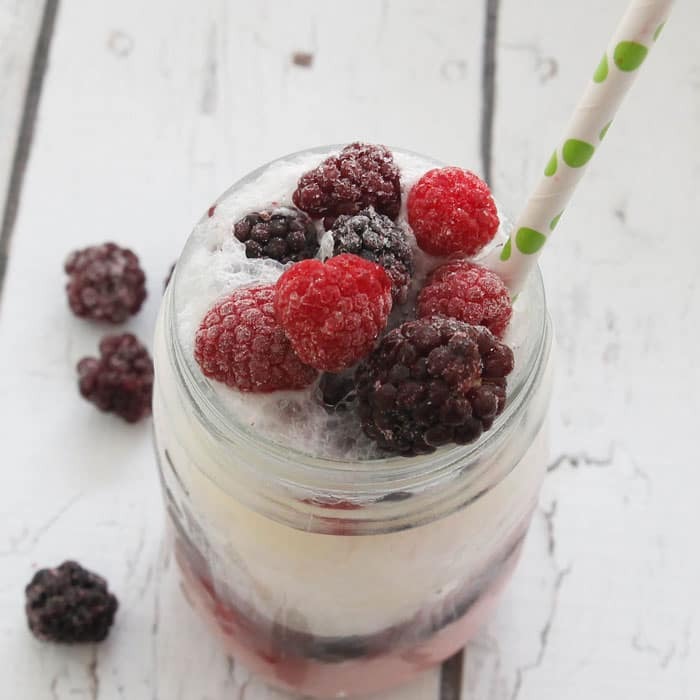 I know it’s summer time and fresh berries are everywhere, but frozen fruit works best with this drink. Just start layering. 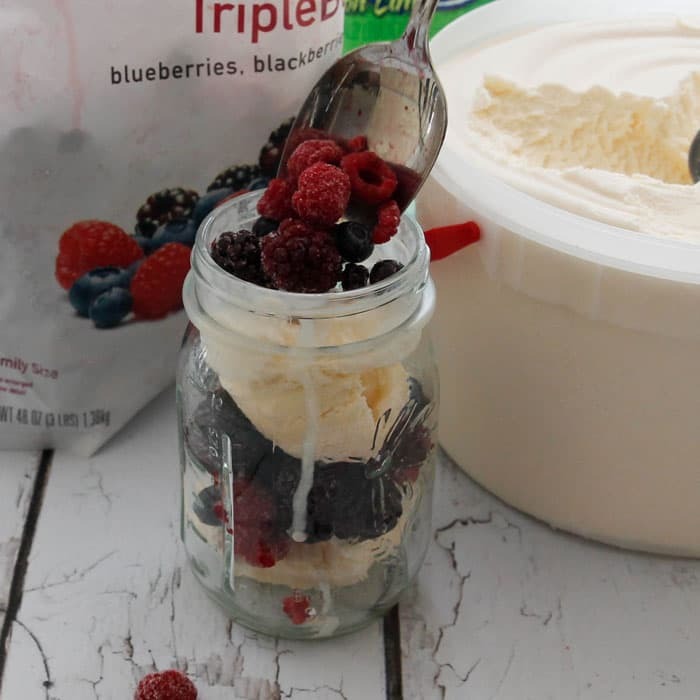 Ice cream, frozen berries, ice cream, frozen berries…. 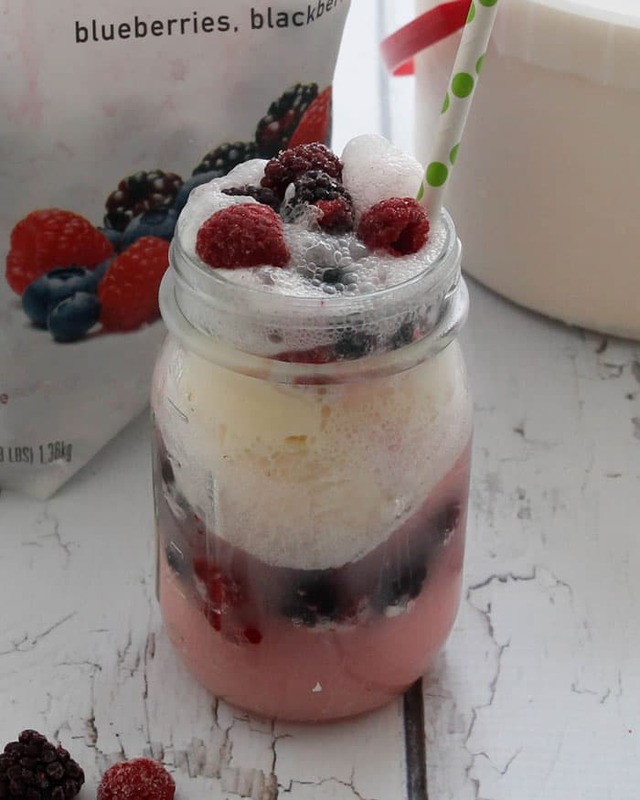 Not only will you create a pretty, frothy, cool treat but the juices from the berries will start to release. Each sip will tickle your taste buds with berry flavor! 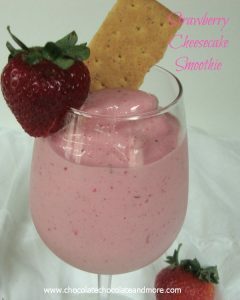 In a medium glass, layer 1 scoop ice cream, 1/2 cup (approximately) frozen fruit. repeat the layers to almost fill the glass. Fill glass with soda, letting bubbles settle as you fill. Insert a straw and enjoy. 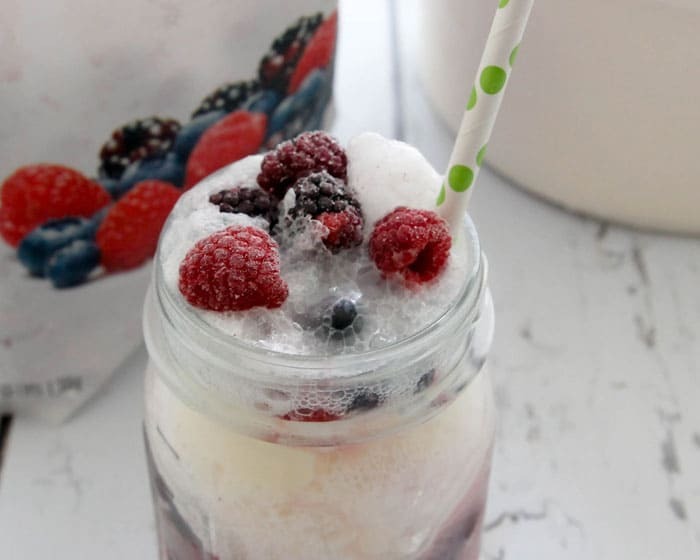 Use any frozen berries you prefer. 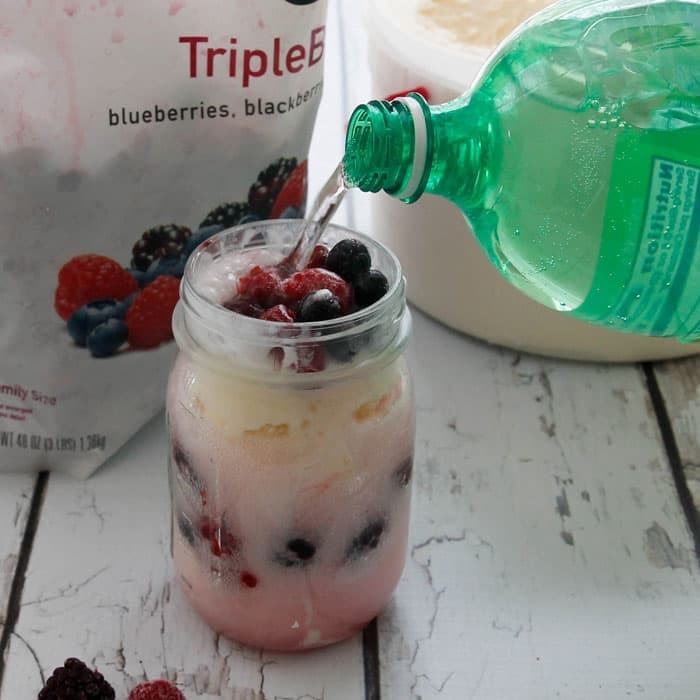 Raspberries, strawberries, blackberries, blueberries or a combination. 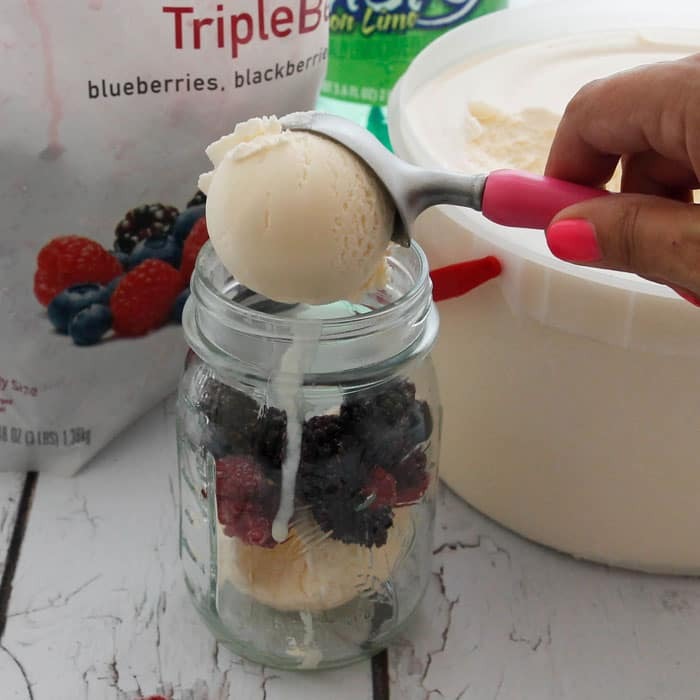 Also try it with frozen peaches or plums. 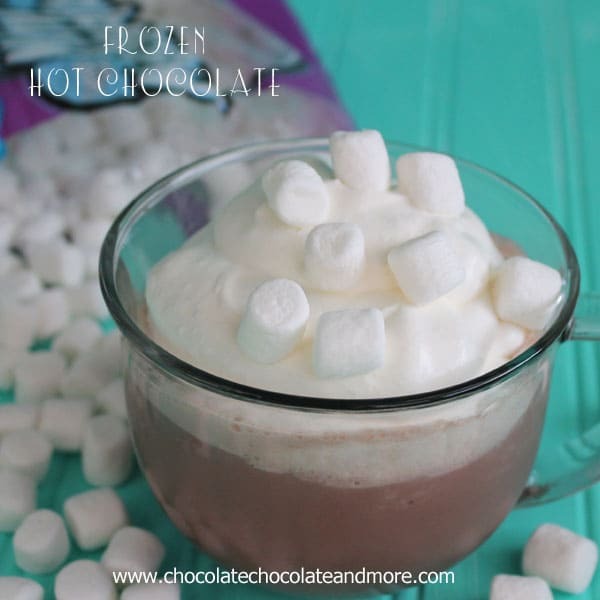 There's no wrong way to make this float. 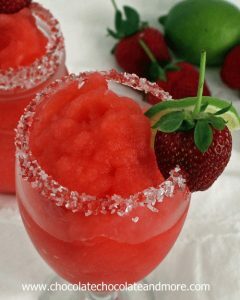 Want more tasty frozen drinks? My youngest has made it 3 times already! 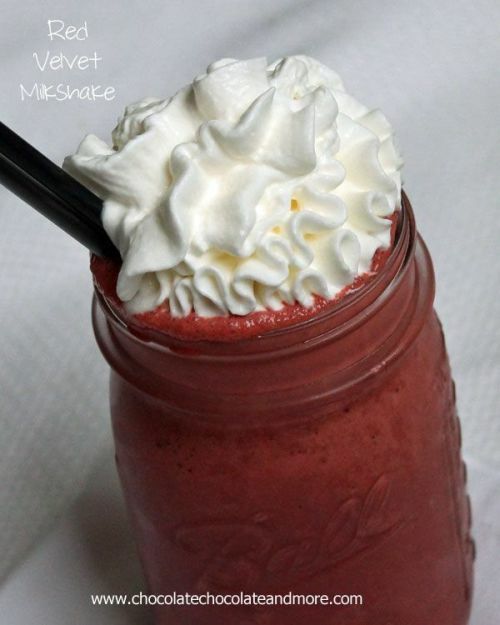 There’s so much to love about this fruity float. I can’t wait to make this recipe!